Jill Purdy is an associate professor, chair and the director of graduate programs in the education department at Cedar Crest College. 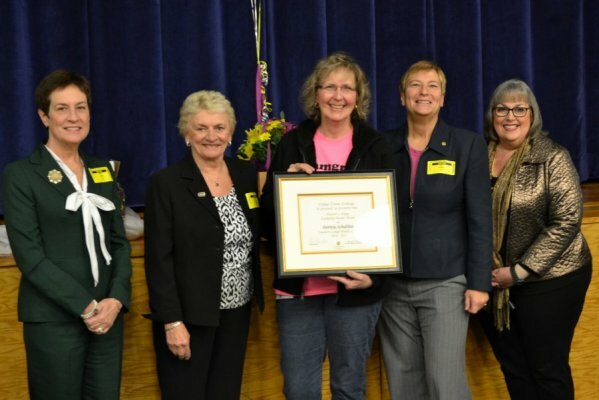 Jill cannot remember a time when she didn't want to be a teacher, so it is no surprise to her family that she has been in the teaching field for over 25 years. 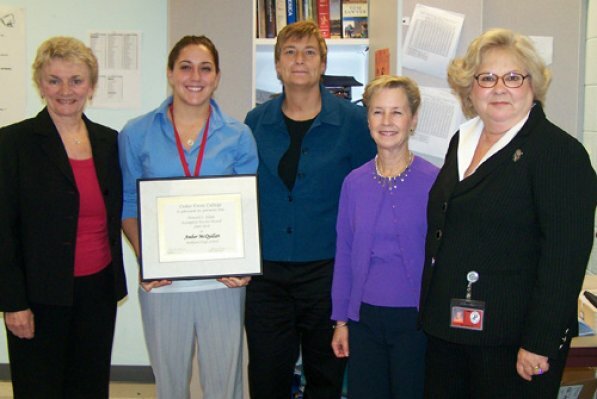 After receiving her bachelor's degree, Jill began teaching in fifth grade in the Easton School District. Shortly after obtaining her master's, Jill moved to a middle level teaching position at Southern Lehigh School District, where she taught English, Reading and Social Studies. Jill's next position was as a Reading Specialist at Salisbury Middle School. 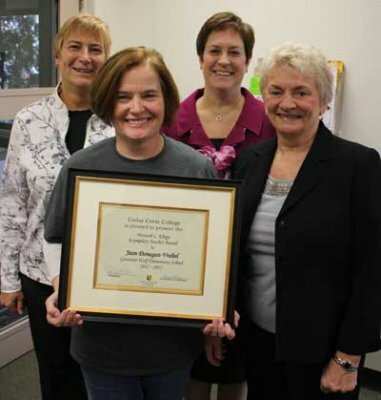 Since joining the faculty at Cedar Crest in 2005, Jill has been researching the teaching of English Language Learners. She has enjoyed visiting several ESL classrooms in local school districts. 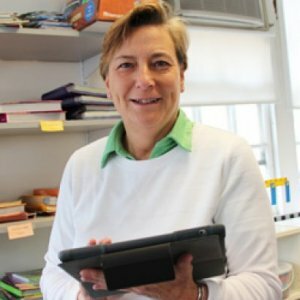 Jill's current position as the graduate program director and associate professor has allowed her to teach many different courses and occasionally supervise teachers in the field. This course prepares the elementary and secondary teacher to meet the special needs of culturally and linguistically diverse students in the PreK-12 general education classroom. Students in this class will develop an understanding of the impact of being a non-native English speaker on the learning process and socialization in the classroom. The student will develop this understanding through the study of second language acquisition and through obtaining specific teaching techniques to better aid the ESL student in the learning process. In addition, intercultural communication skills will be acquired. An emphasis is also placed on the teacher gaining respect and appreciation for culture and language. Graduate level students in this course will examine best teaching practices for supporting students in the reading of content area texts. Students participating in this course will gain expertise in the strategies that increase comprehension skills for content area reading. In addition, students will learn to extend content area learning through the integration of adolescent literature. A review of research of the current trends in	adolescent literacy is a component of this course. Students will explore instructional and political issues related to race, ethnicity, gender, sexual orientation, age, and religion as they impact student learning and educational experiences towards developing personal sensitivity and will then explore strategies and models for fostering their students’ respect and appreciation for diversity from the perspective of critical pedagogy theory. Analysis of diversity from perspectives of critical pedagogy theorists such as Giroux, McLaren, Kanpol and others will be required. This course prepares the elementary and secondary teacher to meet the needs of culturally and linguistically diverse students in the PreK-12 general education classroom. Students in this class will develop an understanding of the impact of being a non-native English speaker on the learning process and socialization in the classroom. The student will develop this understanding through the study of second language acquisition and through obtaining specific teaching techniques to better aid the ESL student in the learning process. In addition, intercultural communication skills will be acquired. An emphasis is also placed on the teachers’ respect and appreciation for culture and language. Graduate level students will analyze and synthesize research in the field. This course is designed for the certified teacher as an introduction to classroom-based reading assessments. Participants develop expertise in both formal and informal reading assessments that are used to measure student achievement in grades PreK- 12. Educators will analyze the validity and reliability of assessment and intervention techniques that are used to accelerate the reading ability of students with reading deficiencies and/or disabilities. Educators will learn how to differentiate instruction to accommodate the needs of students whom vary in their levels of reading achievement. This course was designed to meet the five standards indicated by the International Reading Association: Foundational Knowledge, Instructional Strategies and Curriculum Materials, Assessment, Diagnosis, and Evaluation, Creating a Literate Environment, and Professional Development. phonics, word family instruction, spelling patterns, and word study in Pre-K through Grade 4. This course investigates phonemic, morphemic, semantic, syntactic, and pragmatic systems of language. Furthermore, vocabulary development is investigated in Grades 4-12, including direct instruction of vocabulary and explores numerous strategies to enhance vocabulary growth. Diagnosis, and Evaluation, Creating a Literate Environment, and Professional Development. Your profile is not published.